One of the most popular children’s game genres is the action/dexterity game. This makes a lot of sense as these type of games are usually perfect for children. The rules are usually really simple and straightforward. The games are also usually filled with a lot of action which keeps children’s’ attention. With how popular the genre is, there have been a lot of these type of games created over the years. Some of these games have become hits and are still produced to this day. Others were not quite so lucky and were left to obscurity. While these games weren’t successful, I find it interesting to take a look at some of these forgotten games. 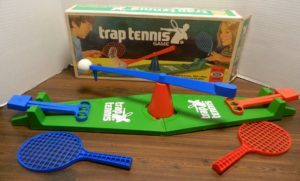 Today’s game Trap Tennis fits that description as it was only printed once in 1975 by Ideal. When thinking of ideas that would work perfectly for an action/dexterity game, tennis/ping pong has to be one of the first things to come to mind. 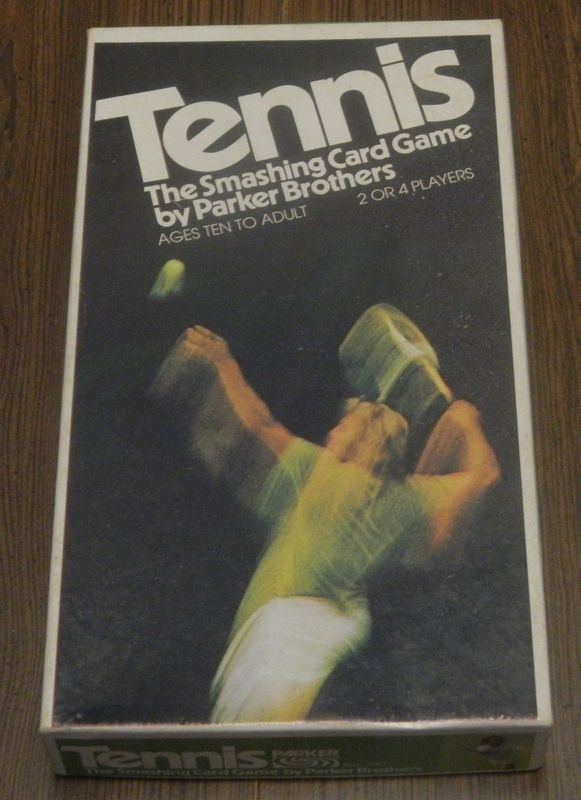 It was not lost on board game publishers as there have been quite a few children’s board games based on tennis. None of them are quite like Trap Tennis though which has an interesting take on the sport. Trap Tennis is an interesting and unique experience that you can have some fun with, but it gets repetitive rather quickly. Connect the two gameboard together. Place the pedestal in the center of the two gameboards. Turn the pedestal clockwise until it locks into place. Each player chooses a color. They will take the paddle and the catcher of the color they chose. Choose which player will serve first. Each round begins with one of the players serving the ball. The player serving the ball will use their paddle to serve the ball. They can either hit the ball clockwise or counter clockwise. Once the ball crosses over the center line the player controlling that side of the board can choose one of three actions. First the player can choose to not do anything and let the ball spin to the other side of the board. A player could choose this action hoping for the ball to slow down before it reaches their side again. Second the player can use their paddle in order to return the ball to the other side of the board. The player can only hit the ball once. They can hit the ball clockwise or counterclockwise with as much or as little force as they prefer. The blue player has decided to hit the ball with their paddle. Finally the player can try to trap the ball in their catcher. As the ball approaches the player’s catcher, they press down on the catcher which will raise it. If the player times it correctly the ball will be trapped in one of the holes. If it is trapped in one of the outer holes, the player will score one point. If the ball is trapped in the center hole, the player will score two points. When a player scores they will serve the ball to the other side to start the next round. The blue player has trapped the ball in one of the outer holes. They will score one point. If at any time the ball stops spinning, the player whose side the ball stops on hits the ball towards the other side of the board. The first person to score 11 points wins the game. Trap Tennis is an experience that is really hard to explain. I would actually love to hear the story of how the game came into being. The game is so strange because it is a combination of two things that are the total opposite of one another. The objective of Tennis is to keep hitting the ball back and forth hoping the other player won’t be able to successfully return the ball. Meanwhile in Trap Tennis the ultimate goal is to trap the ball in your catcher. 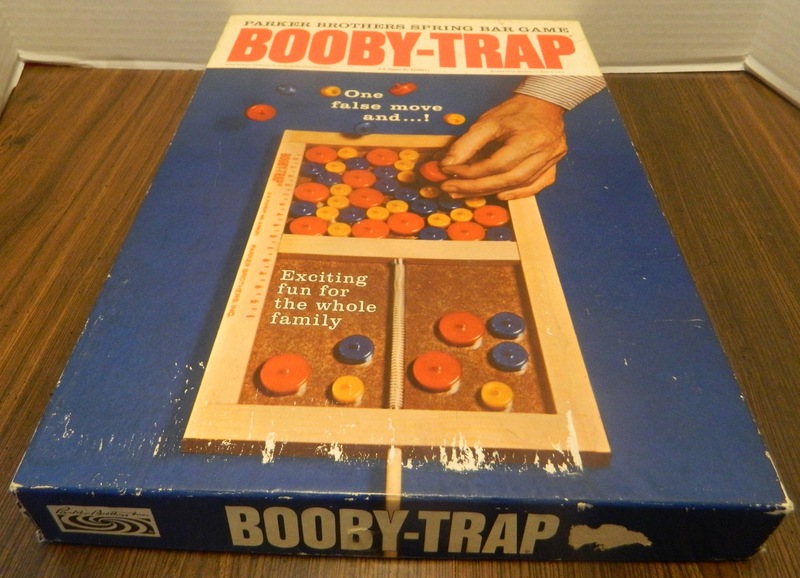 I really want to know how someone came up with a game where the objective is to both hit the ball back and forth while also trying to trap the ball. These two totally conflicting mechanics lead to a really interesting experience unlike anything I have played before. The basic premise of Trap Tennis is trying to stop the ball with you catcher. This is easier said than done though. Basically each time the ball reaches your side of the board you can choose one of three options. First you can do nothing and hope the ball slows down by the next time it reaches your side of the board. There is a chance the other player traps it before it reaches your side though. This leads to your second option which involves hitting the ball once again which adds speed to it. This will make the ball harder to catch as your reaction time to raise the catcher has to be much quicker. Your final option is to try to capture the ball with your catcher. This involves judging the ball’s speed so you raise the catcher at the right time. I found all of this to be an interesting premise for an action game. Most games of this type have players performing the same action for the whole game. These types of games come down to who is the best at the given mechanic. While your skill is just as important in Trap Tennis, having three different potential actions adds a little decision making to the game. It is usually pretty obvious what you should do each time the ball is on your side of the board. You usually only have a second or two to make your decision though so you have to make it quickly. While Trap Tennis shares a lot in common with a lot of action games, this choice of actions makes it feel different as well. On a very basic level, I had some fun with Trap Tennis. Like a lot of these type of action games, there is just something satisfying about the pure simplicity of the game. Hitting the ball back can forth can be enjoyable. It is also surprisingly satisfying being able to trap the ball in your catcher. It is not all that impressive when the ball is moving really slowly. When the ball is moving quickly though and you somehow time your catcher right to catch the ball, it is quite satisfying. Your success in Trap Tennis really depends on how good your timing is with the catcher. The player who is best at timing will likely win most games. Trap Tennis is far from a deep game and it is not going to appeal to everyone. People who tend to like these type of games though can get some enjoyment out of the game. 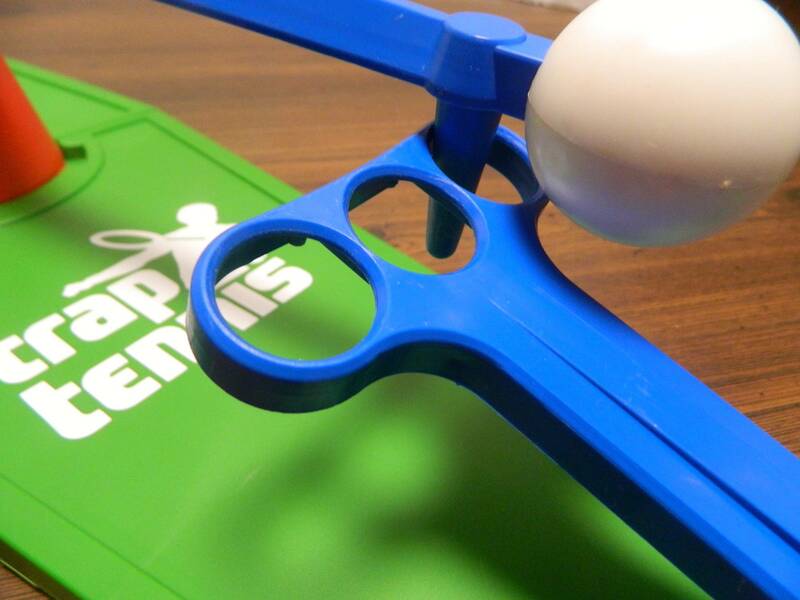 Another positive for Trap Tennis is that it is the perfect length for a filler game. As the game only requires a player to score eleven points to win the game, each game will end quickly. Unless both players really struggle, I would expect most games to end in around five minutes. You might think it would be hard to catch the swinging ball, but it is easier than you would expect. Thus you can score points pretty quickly. With the game being so short you can quickly play a game or play several games back to back in a short period of time. If you want a longer game you can just increase the number of points that you have to score to win. I appreciate that the game’s length is so flexible. Unfortunately Trap Tennis has a short lifespan. The game is novel and fun at first, but it gets repetitive rather quickly. You basically do the same things over and over again. You have different choices that you can make but as I will get to next, the decision making aspect of the game doesn’t come into play all that often. You are left with a game where you just watch the ball spin around in a circle while you occasionally try to catch it or hit it with your paddle. The game can be fun in short doses but you will tire of it pretty quickly. It is the type of game that you may play once or twice a year for 10-15 minutes and then leave it in storage the rest of the year. Other than getting repetitive pretty quickly, the problem with Trap Tennis is that the choices don’t really impact the game. The first action of just letting the ball spin past your side of the board is rarely used. The only time to use it is when the ball is moving really quickly as you won’t be able to catch it and there is no point in making the ball spin even faster. Unfortunately I don’t think the paddles are as useful as you would think either. The instructions make it seem like you are supposed to hit the ball with just enough power that it gets past the other player and slowly approaches your catcher so you can capture the ball. In theory this makes a lot of sense and would require quite a bit of skill as you apply just enough power to your shots. In action you can’t hit the ball this slow. 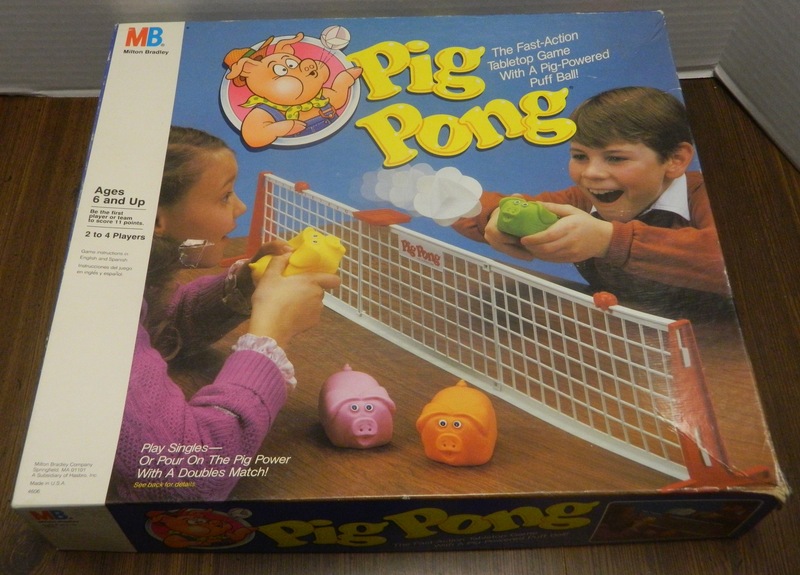 The other player will either try to capture it themselves or speed up the ball with their own paddle. When trying to capture the ball they will likely either succeed or completely stop the ball which will allow them to speed up the ball with their paddle. The only time I would use the paddle to speed up the ball is when you don’t think you can catch it and it will be moving too slowly past the other player’s catcher. As you don’t get much benefit out of your other two options, you will usually just try to capture the ball with your catcher. Outside of the times when the ball is moving really quickly, there is really no reason not to try and catch the ball with your catcher. The punishment for missing is usually minor. The only time it backfires is when you miss and the ball proceeds to move slowly towards the other player’s catcher giving them easy points. If you use the catcher too soon, the ball can hit it and bounce back far enough allowing the other player to catch it. Usually the ball will stop short of the other player’s catcher though so you don’t lose anything by missing. While you won’t usually catch the ball when it is moving quickly, the ability to occasionally catch the ball offsets any risk from trying to catch it and missing. For a game that is almost 45 years old at this point, I have to commend the components for being quite durable. This is the type of game that you would think would break pretty easily. The copy of the game I found though was still in really good condition despite looking like it was played quite a bit. I attribute this to the components being made of pretty thick plastic and thus they are pretty durable. The gameboard can be a little wobbly when you hit the ball really hard but the gameboard stays together pretty well. The gameboard isn’t much to look at but it serves its purpose which is what is most important after all. Should You Buy Trap Tennis? Trap Tennis is the type of board game that you wouldn’t see made anymore. It is such a weird concept that I doubt any publisher would think they could actually sell it. Then there is the fact that the game didn’t even sell well back in 1975. Despite being a weird game, Trap Tennis is a unique experience. 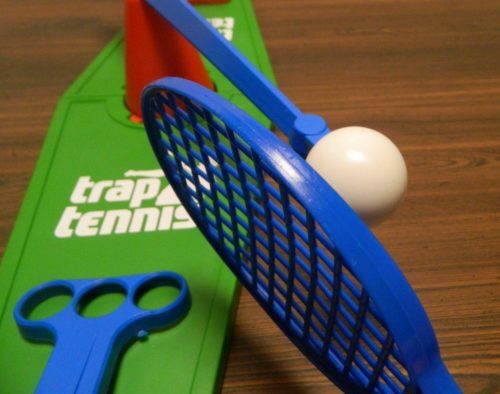 I have played a lot of different board games and I haven’t played anything quite like Trap Tennis before. Like a lot of these type of children’s action games, Trap Tennis is so basic and yet can be surprisingly satisfying. The game is far from deep but it is kind of fun hitting the ball back and forth and trying to catch the ball in your catcher. For the game being almost 45 years old at this point, the game’s components are also surprisingly durable. Unfortunately the game gets repetitive rather quickly where you will only play it a couple times a year and usually only for 10-15 minutes. Trap Tennis presents you with different options that you can use but you are usually best off trying to catch the ball whenever possible. If you don’t like children’s action games or think Trap Tennis’ premise is stupid, you will not like the game. People who like these type of games should have some fun with the game. With how repetitive the game can get though, I would only recommend picking it up if you can get a really good deal on it. An interesting game unlike anything I have played before. Can be kind of fun in short doses. On almost every turn your best option is to try and catch the ball with your catcher.